Battleship Beer Pong puts a fun new spin on the classic drinking game Beer Pong. You can set up a Battleship Beer Pong tournament, or you can just play with a small group of friends. The game also offers a change of pace from standard beer pong rules. So break out the beer pong balls, more than a hundred cups, and all of the booze you can handle, and get ready for some Battleship Beer Pong. Set up two teams with two players each. Set up 70 16-ounce plastic cups on each side of the ping pong table. The cups should be set up 10 across and seven deep. Flip a coin to see which team gets to fill up cups first. The team that loses the coin toss should leave the room while the other team fills its cups. Pick out which of your cups will be your battleships. Cups associated with battleships will be filled with one shot of hard alcohol each. The Battleship consists of five cups, the Cruiser and Destroyer are worth four cups each, the Sub is worth three cups, and the PT Boat is worth two cups. The cups associated with the ships must be contiguous and cannot intersect with other ships. Fill the remaining cups one-fourth of the way with beer. Flip a coin to see which team will get to shoot first. Each team gets two ping pong balls. The players alternate throwing the ping pong balls at the cups on the other side of the table. Regardless of whether the balls are bounced or thrown, they are only worth one cup per ball made. 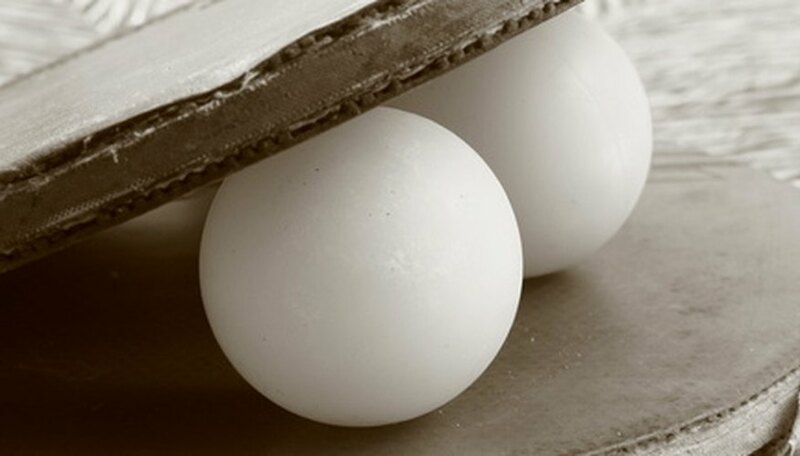 Teams must drink the contents of cups in which a ping pong ball landed and remove the cups from the table. If a ship has been hit, the defending team must let the team on offense know that a ship has been hit. However, the team does not need to say which ship was hit or where the other cups associated with the ships are. The game ends when one teams sinks all of the other team's ships. The losing team needs to finish all of their remaining cups, and all of the winning team's remaining cups. It's in everyone's best interest to have an unbiased referee on hand to make a decision on any close calls. Do not drive if you've been drinking.